Bundesliga | VfB Stuttgart vs. Bayer Leverkusen: As it happened! VfB Stuttgart vs. Bayer Leverkusen: As it happened! 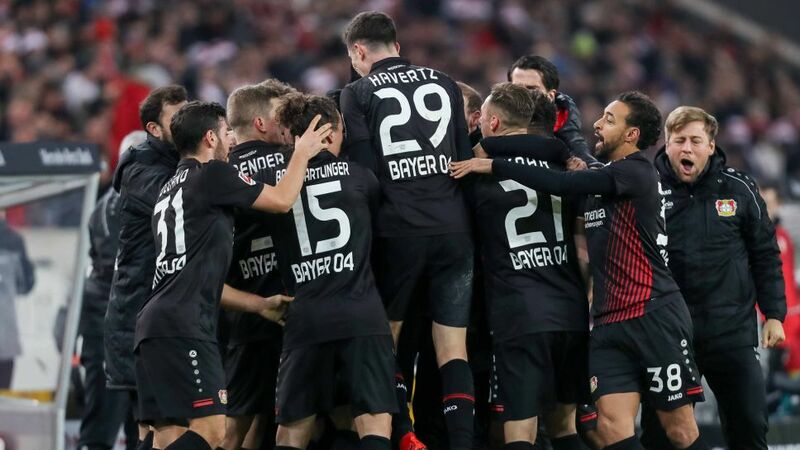 Bundesliga form team Bayer Leverkusen extended their unbeaten streak to ten games with a 2-0 win over VfB Stuttgart, with Leon Bailey and Bernd Leno outstanding for Die Werkself as they became the first team to win at the Mercedes-Benz Arena this season. The will was there for the hosts, but something was getting clogged up in their movement, while Leverkusen's slicker, swift approach drew first blood in the 21st minute. The irrepressible Leon Bailey dribbled – or rather danced – his way in from the left and cut the ball back for Kai Havertz, who slotted his shot first time into the bottom corner. It was a clinical move and finish, and ultimately deserved with the guests having six shots on goal to Stuttgart's solitary effort in the first half. Emiliano Insua struck the sweetest of efforts to sting the fingertips of Bernd Leno, whose top-drawer save kept his side ahead early in the second half. Leno's one-handed save denied Berkay Özcan moments later, before the last line of the Leverkusen defence raised the barricades again to deny Insua instinctively. At the other end, Benjamin Henrichs was denied his first Bundesliga goal by the post before Lars Bender headed in from a corner and extend Leverkusen's unbeaten streak to 10 games. Click here for the VfB Stuttgart vs. Bayer Leverkusen match centre!